The monthly ratings tournament is usually on the first Sunday of the month (current schedule). Registration is on-site, 10:00 AM – 10:45 AM, and games begin at 11:00 AM. There are three rounds, with 45 minutes per player plus byo-yomi overtime of five periods of 30 seconds. If you’re running late, you can call the Go Center (206-545-1424) and the Tournament Director will pair you in. If you skip the first round, you can still play in later rounds. Players usually eat lunch when they finish the 1st round. (We recommend bringing a lunch rather than going out to eat.) The 2nd round begins around 12:30, but it may begin sooner if players are ready. We usually finish the 3rd round between 4:30 and 5:30 PM, depending on how quickly or slowly people are finishing their games. You do not have to play all rounds — just inform the Tournament Director of your plans. 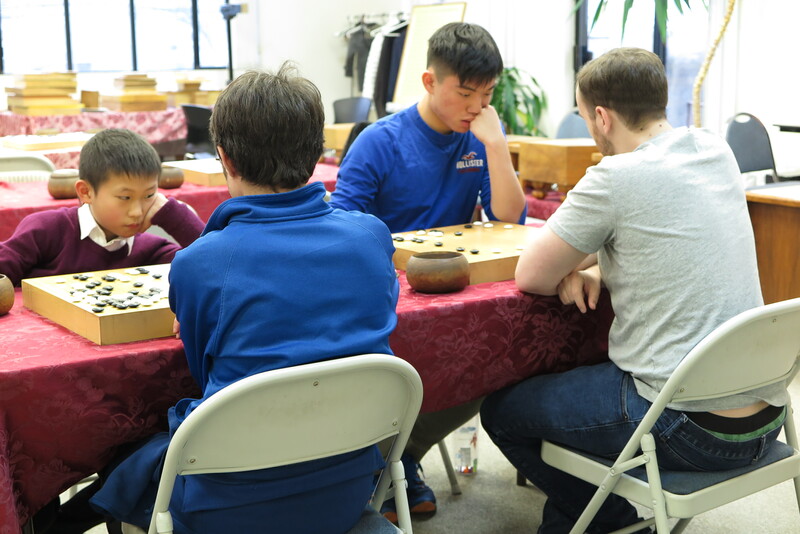 The ratings tournaments are a great opportunity to play some seriously thrilling Go in a serene setting. Whether you want to improve your AGA rating, or just want to immerse yourself in a really good game, the ratings tournaments are for you.